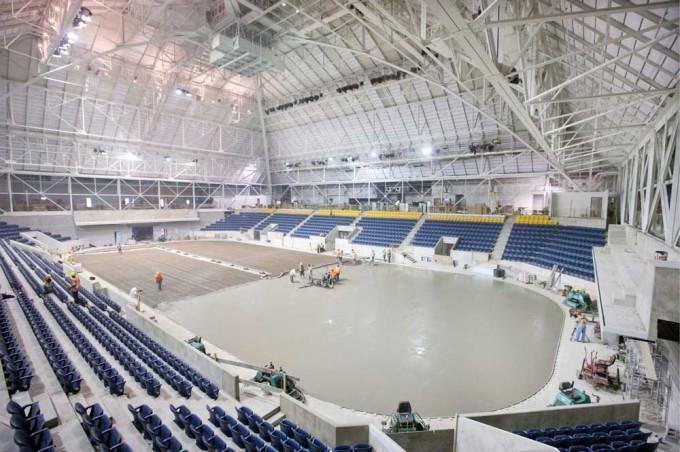 The Eyeopener has learned that the top layer of the rink surface has been installed at the Mattamy Athletic Centre at the Gardens. This new image also shows cement seating forums at each end of the rink that hang over the goal areas. These rows of will replicate the original MLG “end blues” seating. The new full-sized rink is 100-feet below the iconic MLG dome and 50-feet above street level, making it the highest elevated skating rink in Toronto.